I just recently returned from a weekend in Baja near Ensenada and I’m already working on a plan to go back. It had been nearly a decade since my last trip south of the border, so I wan’t sure what to expect. What I found when we arrived was a magical place full of beauty, adventure, incredible food & great wines. We stayed at an amazing house near the town of La Fonda and spent a full day exploring the local wine country, Valle de Guadalupe. We could have easily spent a week or more checking out all the wine and food along the Ruta Del Vino, but since our time was limited, we visited the modern & architecturally stunning Monte Xanic winery, had lunch at an outstanding little restaurant called La Esperanza Baja Med Cocina, and finished the day sipping Tempranillo at the super cool Vena Cava winery. We left Monte Xanic and had one of the most memorable lunches I’ve had in ages at La Esperanza Baja Med Cocina. 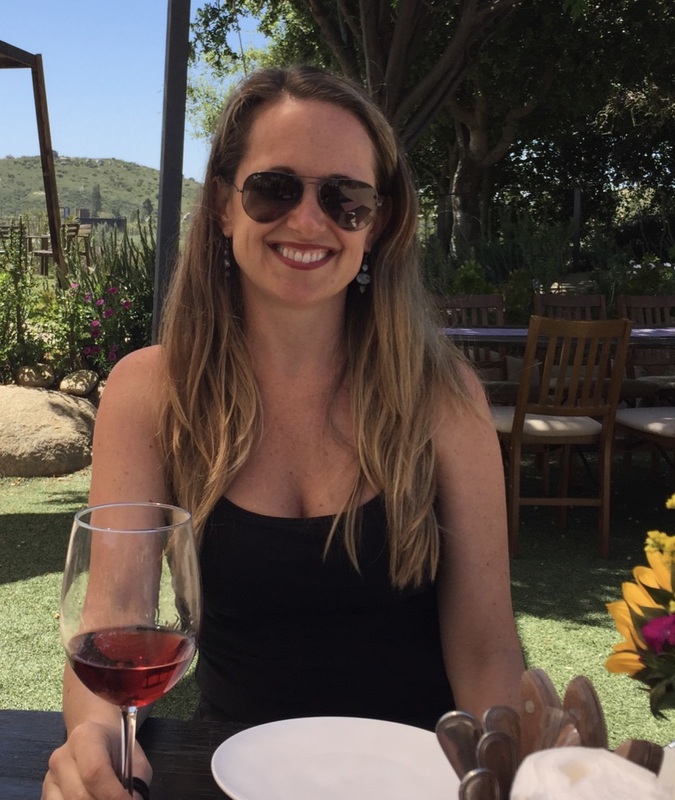 Chef Miguel Angel Guerrero’s delicious cuisine, the local wines, the rustic interior with splashes of blue and lots of open space that made it feel like we were sitting in the middle of a vineyard… it was just heavenly. After lunch, we ended the afternoon at the funky and very hip Vena Cava Winery. We sipped wine under the arched ceiling of their tasting room, which was created using an overturned, salvaged boat from a nearby port. What a wonderful description of such beauty…water, earth, sky, wine. How could a vine NOT want to produce some great wine…just to match its surroundings. Enjoyed your photos & commentary. Keep writing, and leading us toward more superior wine adventures! Were you able to bring your dog to any of the wineries? We will be nearby camping for a long weekend with our dog and would love to check out some wineries if we can bring the dog. Hi Chris! We were happy to find many of the wineries do allow dogs. Monte Xanic is NOT dog friendly, however we were able to bring our dog to Vena Cava (best to ask before entering the tasting room as it really depends on how crowded it is). A couple of my personal favorites in the area – La Lomita (http://lomita.mx/) and Finca la Carrodilla – are beautiful and very dog friendly. If you want to do a food & wine combo, Finca Altozano (http://fincaltozano.com/) is casual, has a fantastic local wine & food menu, and is dog-friendly. Let me know if you have any further questions & enjoy!